What an exciting combination of chintz flowers cut out and appliqued in the Broderie Perse technique to fill the diamond-shaped areas created by the pieced chain pattern. 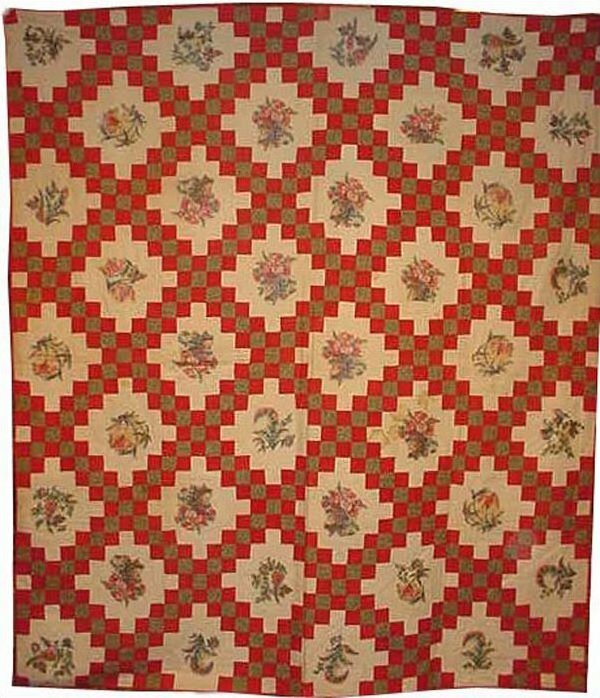 In this 150+ years-old historic quilt the coloration is classic and timeless - rusty reds. green, some blue, golden earth tones and ivory. It has never been laundered; the age browning from storage might lighten with a professional cleaning| but many prefer to leave such an early example as found.